Bachata dance styles originated in the Dominican Republic in the late 1950’s. This dance genre is danced as a three step ending in a tap on the 4th beat with Cuban hip motions. It uses different dance positions. Originally, it was similar to a bolero with slow music and mostly closed position. However, eventually it expanded to faster music and many different dance positions. It does not use as many fast turns as Salsa. There are a large number of movements for bachata dancing that can be executed in either a smooth style or with a slight hop. The music is often lively, light Caribbean style music with a distinctive beat. Many night clubs that offer a Salsa nights include Bachata music in their playlists. 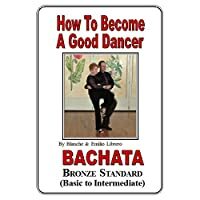 Unfortunately, the bachata is not as widely offered in dance studios as other dance genres but most studios that offer salsa and merengue also offer bachata. Studios and Latin clubs frequently offer the bachata dance as part of their nightclub Latin dance program. 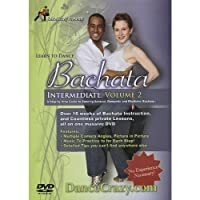 What is the bachata dance? Why is the bachata dance and music so popular word wide? The music is Latin with a rhythmic but smooth rhythm. The basics move sideways or forward/back or in circles with three steps and a hold (tap) that sometimes includes a hip pop. The turns are slower and easier than salsa. And the music is romantic and has incorporated popular contemporary music including hip hop and R&B. What is the allure of the bachata dance? Music: Bachata dance music is exciting and energetic like, salsa, merengue, cha cha and zouk. Body Movement: Sensual body movement like Cuban motion or swiveling hips, relaxed but upright upper torso, figure eight motion of hips, ribcage, etc. Spacing: Most are spot dances so they can be done in the small dance floors that are usually found in nightclubs, cruises, wedding receptions, company parties, dance clubs, dance studios. The Rhythm: the dances are generally rhythmic, especially the bachata, mambo, cha cha and salsa. Latin dancers: The atmosphere is fun, friendly, casual and packed. The buzz in the Latin dance community is all about the bachata. This dance is one of the most popular contemporary Latin dances and may soon outpace salsa in popularity. It originated in the Dominican Republic in the late 1950’s but was frowned upon by the upper class and the dictator, Trujillo, and was actually banned in the Dominican Republic during periods in its history. The bachata arrived in New York in the 1990’s with the group Avenura. However, interest seemed to wane again until recently. In the last few years, the bachata has taken the Latin dance clubs by storm across the United States. Salsa dancers love this dance and it’s rapidly becoming a sensation in the Latin dance scene. A Bachata Congress in 2012 went from hundreds in 2009 to five thousand dancers in attendance. Subsequently, the bachata has spread globally in the last few years with a bachata festival in Australia and bachateros in most countries around the world now. The bolero and merengue influenced the bachata . It uses three weighted steps followed by a tap (unweighted step). The tap can be a hold, hip lift or popping type action. The count is 1, 2, 3, hold 4 or quick, quick, slow (QQS). The knee action varies by style of this dance but includes Cuban motion with one knee straight, the other bent or both bending at the same time. The hips swivel in figure eights and one knee straightening for the hip lift on count 4. The rib cage moves in figure eights in conjunction with the hip action. This dance can be danced using contact in the upper body with ones partner. Bachatango fusion style is danced in close embrace while other styles use an open position. There are varying amount of time spent in closed embrace depending on the style one is dancing. The music is derived from Pan-Latin American guitar music from the 1960’s but is rumored to have earlier roots in the bars and brothels. Therefore, the tempo is more like slow dancing as the music flows like a sensual Caribbean wind. Eventually, the musics and dance spread throughout the culture. The music continued to evolve through the influence of R&B in the United States. Slightly different styles of music are offered depending on the styles of bachata. There are many different styles for the bachata dance and many different forms of bachata dancing. Here we include the major different types of the bachata dance. There are many different types of dance genres around the world. This includes partner dance styles, solo dance styles and performance dancing. Classic dance genre is from the sixties but there are more contemporary forms sometimes called moderna or urban for the next generation. In these forms the dancers use contemporary dance forms like hip hop. There are at least seven styles of bachata depending on where one is dancing and the music they are dancing to. Dominican style uses 3-weighted steps and a hold on count 4. This count can use a tap, hip lift or popping action. The knees are slightly bent but one still uses a Cuban motion type of action and the hips use considerable sway. It uses some bounce and varies between open and closed positions. This style is still very popular. Traditional bachata is common in the United States. Moreover, it is done in a very close position. Also, it includes dips, has a slight hip lift on count 4, and uses some turns. 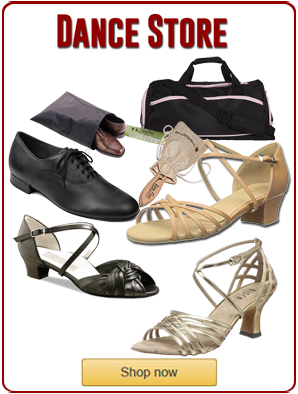 The Italian style uses less complex footwork, circular movements and salsa turns. Consequently, it is a simpler style that is very popular due to its simplicity. Moderna (The Madrid style) may have originated in Spain. Also, this style uses lots of footwork, crossovers and includes other styles of dance. 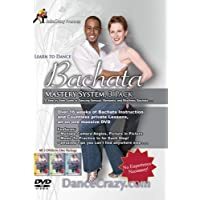 Urban Bachata dance is a hybrid of moderna and hip hop. This form moves in all different directions. Also, the movements weave musicality and turns. In Additionally, this form is considered fast pace. Rued is based on the Cuban Rued de Casino. This form of dance places partners in a circle with a leader calling our patterns. The movements fit the music. Also, they are generally simple with calls that include partner changes. Bachatango started in Europe and is gaining in popularity with its close embrace and swinging hips. This fusion style of bachata evolved along with bachata music. Solo (or Duo) is a routine with only one person (or sometimes two) that uses bachata movements in a performance routine. Bachata dancing is popular in Latin dance clubs world wide. Also, the music is sensual and the basics are easy to learn. 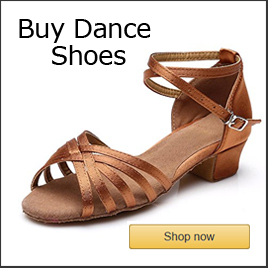 Subsequently, this dance craze just keeps getting bigger, so jump in and try this fabulous Latin dance. Enjoy the benefits of lots of dance venues, dancers and the contemporary flavor of this newest dance sensation!